Since 1965 our passion has been bringing your design dreams to life through the singular, timeless beauty of natural stone. We quarry, cut, carve, polish, and make mosaics and other custom pieces from stone—the earth’s oldest and most durable building material. By embracing the striations and color variations that naturally occur in stone, we make each piece a unique product. We are dedicated to the aspirations of each and every client. Our goal is to create your vision, whether it is the perfect fireplace, a personalized bath, a whimsical hearth, a custom gazebo, or a mosaic with your family crest. Our extensive portfolio demonstrates our range of styles, from period and classical to sleek and modern. If you can dream it, we can create it. Above all, we understand that you are passionate about the look and feel of your home or space. We share that passion by offering only the very best—from our family to yours. Keystone Granite is based on a rock solid foundation, a marriage. 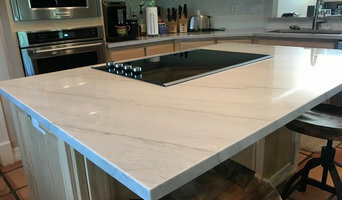 Owners John and Lynn Monahan have, for the past 40 years, worked with the residential and commercial markets doing a combination of solid surface, natural stone and engineered counter tops. Their focus has been on providing a combination of elegance and excellence towards the counter top and stone industry in San Antonio and the surrounding areas. Arlington's Tile, Stone, & Countertop Protector-Best of Houzz 2018! We are granite and natural stone installers and fabricators. We will work with Quartz, Soapstone, Vicostone and Marble. Custom bathrooms, kitchens, fireplaces and outdoor BBQ areas. We offer specialized, skilled quality workmanship. Free measures and free quotes. Products/Services We Service 150 Mile Radius Around the Greater San Antonio Area for New Construction, Remodels, Commercial and Custom Stone Products. Natural Stones Such as: Granite, Marble, Travertine, Onyx, Soap Stone and Quartzite "Quartz" Engineered Stones Such as: Silestone, Wilsonart, Viatera, Caesarstone, Vicostone, Cambria. Everyday Jobs Such as: Kitchens, Bathrooms, Laundry, Outdoor Kitchens, Offices, Apts./Condos/Hotels, Restraunts and More. 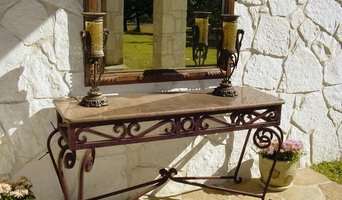 "Custom Specialty Products" Such as: Full Showers, Marble & Travertine Tubs (Tubs are handmade In-House) , Stone Cabinetry, Stairways, Furniture Pieces, Conference/Dining Tables, Plaques & Displays, Full Fireplaces/Fire Pits, Pedastool Sinks, Columns/Pedastool, Handmade Undermount Sinks (Matching your Countertops) and Much more... Service Calls Such as: Repairs/Refurbish/Reseal. We Overlook Countertops for any Chips and Scratches that Need Touched Up, Relevel and Add Color to any Seams Needing Attention, Followed by Polish/Waxing and Reseal (10 Year Silicone Based Stone Sealer) and Re-Caulk to Finish it Off. Pre-Fab Ordering/Shipping and Installations for Large Low Budget Commercial Projects Such as: Apartment Complexes/Condos, Hotels, etc... Water Jet Solutions for Projects Such as: Emblems, Centerpieces, Logo's, Signs, Engravings, and much much More... "You've tried the rest, now try the BEST!" Superior Granite & Marble is here to provide you with the highest quality stone at the most competitive pricing. Our goal is to provide a vast selection of slabs so that you can find that perfect slab to complement any project. The stone we stock includes Granite, Marble, Quartzite, Quartz, Soapstone, Travertine, Limestone, and Onyx. We have a great sink selection and many stone fabrication tools for all you fabricators out there. When you come into Superior Granite & Marble by Vivaldi, we want you to leave feeling stress free, knowing that we will help you every step of the way in the process of picking out the slab that is best for your project. We are very knowledgable about all the products we carry and can answer all the questions you may have about the stone or process of fabrication. Come check us out and see why when it comes to natural stone we have the most superior product around. Family owned and operated natural stone and quartz fabrication business since 1985. We specialize in custom counter top fabrication and installation. Tile studio 925 is a family-run business, offering thousands of stocked tile and natural stone products. You can order online or Visit our showroom! If you can imagine it ... we can tile it. Whether your taste is traditional or modern, luxury or whimsical, Design Tile can direct you to the best in unique tile and architectural products of natural stone, ceramic, glass, terracotta, porcelain, metal and cement. 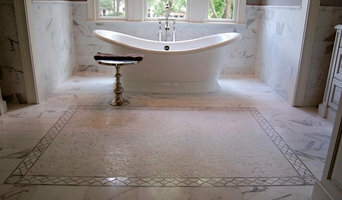 We help you find the perfect tile collection for your kitchen, bathroom, gardens, fountains, floors, walls and ceilings. We bring your imagination to life by providing design elevations and installation instructions as well as specify and research the materials needed for your project, provide those products, and deliver them to your project site at the best market price. Wherever your imagination takes you, Beth Eubank is ready to provide you the needed expertise and project management for your commercial and residential tiling projects. For over forty years Moe Freid Marble & Granite has been delighting customers with high quality fabrication of natural stone. Our third generation carvers and fabricators are master artisans in their field and can easily create in stone whatever you desire. The custom finishes we have developed like Renaissance and River Wash by Moe provide textured surfaces for a truly unique design. The pride we take in the diversity, quantity and quality of the products we carry, comes from importing from the finest quarries around the world, offering competitive prices and excelling in superb customer service. Alamo Tile & Stone opened for business in 1981 when it began work in the custom residential market. In the late 80’s, with the fall of the national residential crisis, AT&S repositioned itself in the commercial market. Since then, AT&S has found a tremendous amount of success in the commercial industry. This catalyzed their movement into bigger contracts and larger projects. Commercially, AT&S has become a widely known tile and stone contractor for all types of related projects and is considered one of the largest contractors in the state of Texas. AT&S's main focus is large scale commercial projects that require an on-time and in-budget project completion. Empowered by excellent customer service, quality craftsmanship, and competitive pricing, Alamo Tile & Stone provides Texas, and the surrounding areas, with its full service tile, marble, natural stone and brick paver subcontracting services. We value the importance of our relationships with all clients, vendors and employees. We strive to implement a work environment that encourages innovation and aggressive performance to deliver outstanding products on time and in budget. Whether you are renovating for the first time or building new from the ground up, AT&S is ready for any and all of your residential needs. With your custom design and our quality fabrication and installation your dream home can be a reality. 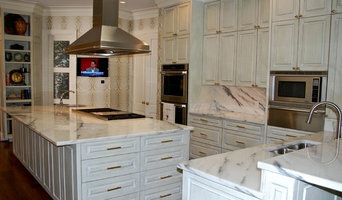 AT&S is also your best resource for quality natural stone materials in a variety of finishes. Because your natural stone will last for generations to come, it is important to put your trust in a company with decades of experience. AT&S has been building relationships and projects for over 29 years. Feel free to visit our showroom, we would love to meet you! J & R Tile, Inc.
Tile Installation company that has been in business for over 30 years. 100% Certified Tile Installers through CTEF & NTCA. Over 14 years of hands on experience. Here at TC. GRANITE. We provide home owners, flippers, builders, commercial businesses. Quality work. At an affordable price! We are excited to begin providing exceptionally high quality stone fabrication for you. Natural Marble and Granite (based out of San Antonio, tx) is opening up for operations shortly. With over 20 years of fabrication experience, we offer competitive pricing, scheduled turn around times, and great customer service! Our vision is to service your custom stone needs for both residential, and commercial applications. As a family owned company, we offer the highest quality in granite, marble and quartz countertop fabrication and installation. We pride ourselves on our award-winning customer service while keeping up with the most state of the art technology and material available. From perfect edges to invisible seams, our craftsmanship is unmatched! Visit our San Antonio showroom and select from a wide array materials including granite, marble, natural stone, Silestone, quartz and much more. Let us deliver and install it in your kitchen, bathroom or bar and beautify your home. In addition to basic surfaces, many San Antonio, TX tile, stone and countertop contractors can create and install murals and mosaics, as well as add decorative edge treatments to countertops. They also repair or replace surfaces in the event of chips, cracks, stains or other damage. Many tile, stone and countertop professionals also install shower pans, radiant-heat flooring systems and other common components of surfacing jobs, often working in tandem with San Antonio, TX plumbers or other professionals. Here are some related professionals and vendors to complement the work of tile, stone & countertops: Interior Designers & Decorators, Architects & Building Designers, General Contractors, Kitchen & Bath Designers, Design-Build Firms. Find a tile, stone and countertop contractor on Houzz. 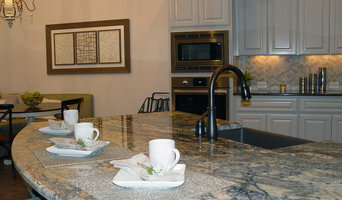 Narrow your search in the Professionals section of the website to San Antonio, TX tile, stone and countertops. You can also look through San Antonio, TX photos to find tile, stone and countertop projects you like, then contact the contractor who worked on it.